The KÜHL Krossfire™ Short Sleeve Shirt is cut from ultra lightweight, super breathable cross hatch fabric. UPF 15 provides sun protection. 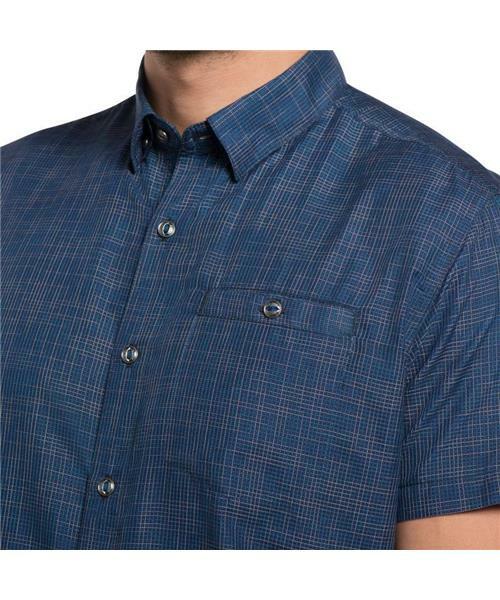 This button-down shirt features a tapered fit, hidden button-down collar, and single chest pocket. The cross hatch pattern creates a unique, textured appearance. The Krossfire Short Sleeve Shirt features KÜHL's signature round bar-button system for lasting performance.